The move to commercialise higher education and encourage private business has been systematically pursued since the adoption of the New Education Policy of 1986. Both Congress and BJP have competed to outdo each other while groups affiliated to them – AAD, INTEC and NDTF – blame each other and shamelessly pose as brokers of benefits for teachers. So united are they in the drive towards privatisation that the Congress offered higher education as a tradable service under the WTO/GATS (General Agreement on Trade in Services) in 2005 and the BJP moved towards using it as an instrument of increasing India’s exports in 2015. The commitment to cost cutting is so complete that they disregard the impact on academic standards. Ridiculous claims have been made by the PM and other Ministers about Lord Ganesha’s mastery in plastic surgery, that cows breathe out oxygen or government funded school books telling children about motor cars in the Vedic period and advances in stem cell research making the birth of hundred kauravas possible. But the fact is that Astrology, Vastu Shastra, Karma Kanda (introduced during the last NDA regime, then as sciences and now as part of Skill India), continued unabated under Congress rule. 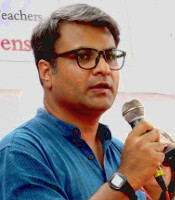 While the Congress undermined internal autonomy and the free and fearless exchange of ideas by allowing Vice-Chancellors to flout rules and healthy practices and to assault collective bodies of teachers, students and karmacharis, the BJP took the imposition of CBCS a step further: it usurped the power to decide course structure and syllabi. The Congress introduced the irrational API scheme to deny promotions and keep costs down. The BJP tried to cut costs further by sharply increasing workload norms. 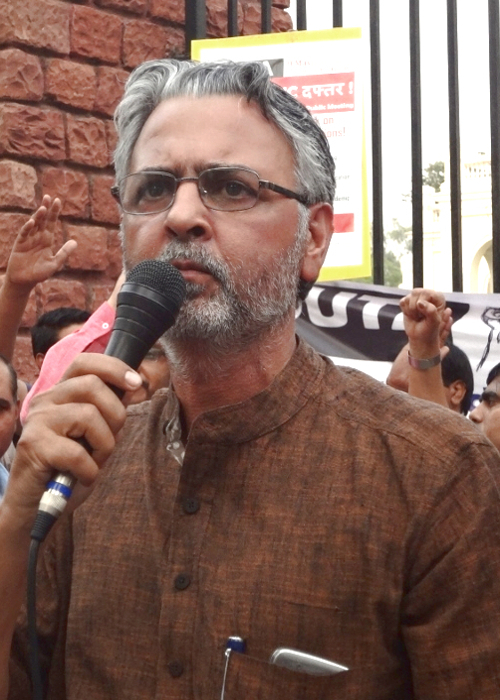 The unprecedented and determined protests by teachers of Delhi University not only forced the Government to retract but also drew public attention to what ails higher education. The High Court laying down a timeline for permanent recruitment is a positive fallout. While the committee set up by the High Court was meeting to work out the timeline for appointments, NDTF activists were shouting from the roof-top how their meeting with the HRD Minister would end ad-hocism. Once the court order was delivered, their tone changed. They further claimed in social media that the unjust retrospective implementation of API would end by mid-December. We would have been thankful had that happened. But there is complete silence. 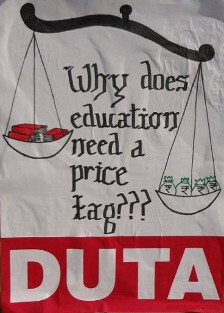 The AAD & NDTF joined hands in the DUTA Executive to make a mockery of the demand for regularisation by insisting that every ad hoc teacher be absorbed wherever they are at present, irrespective of how long they have been working. A formulation that lacks moral and legal force was bound to be a non-starter. It also showed lack of any concern about the incorrect Roster and for long-serving ad hoc teachers displaced earlier. It was made to try and befool vulnerable ad hoc teachers and to derail deliberations on how to make the recruitment process transparent and fair to long-serving teachers. In the AC & EC, NDTF, AAD and INTEC argued for all powers to the selection committees! Equally dishonest has been their campaign that the DUTA failed to evolve modalities for absorption and that one could have ignored the High Court’s timeline and conditions. What is their record on the API scheme? Hollow opposition to the 4th Amendment to the UGC Regulations 2010! Three of the EC candidates – A.K. Bhagi (NDTF), Rajesh Jha (AAD) and A.M.Khan (INTEC) were members of the VC constituted committee in 2013 that proposed amendments to Ordinances in line with the 2nd Amendment. 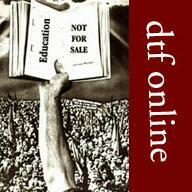 Like all other committees during the tenure of their mentor, Prof. Dinesh Singh, DTF members were kept out. The Ordinances proposed by them show a lack of application of mind and will to fight for teachers. While past services of teachers were counted for promotion at all levels in other universities, it went missing in DU. The API scheme was introduced with capping and made retrospectively effective a year later by their mentor. The struggle against the API system has to be fought at the level of the Govt and UGC and not in the AC & EC unless of course one wishes to stall promotions and appointments. At present, the Supreme Court’s ruling holds that the UGC Regulations are mandatory for Central Universities. The DTF, therefore, moved several amendments to maximise relief for teachers and achieved significant improvements (see our previous leaflet). On recruitment, a resolution to draw experts from the AC approved panel and rotate them on selection committees was moved by us and accepted by the AC. We moved amendments to ensure that 20 marks were earmarked for teaching experience. We had proposed a scheme of 2 marks per semester adding up to 20 for those with 5 years or more experience. We had proposed amendments to stipulate the breakup of 50 marks for Academic Record and Research Performance in a fair and transparent manner with flexibility across subjects which differ in the prevalence of research degrees and publications. Our proposals were aimed at keeping minimal the differences in marks between different generations and universities. In the AC, it was accepted that Departments would be called upon to evolve appropriate schemes for this purpose. In the EC, A.K. 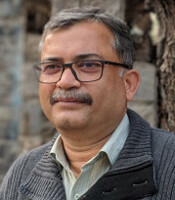 Bhagi of the NDTF argued for leaving the distribution of the 50 marks to the “wisdom of the Selection Committee” and the administration adopted his position. The case of JNU, where the VC has assumed the power to decide experts for selection committees (much like the former DU VC), shows the brazen move by the BJP to influence the recruitment process. If the High Court deadline on recruitment is to be met, simultaneous selection committees for each subject would have to be held. This should help to ensure that experts are actually rotated. The threat of RTI and legal action should discourage selection committees from arbitrarily marking out of 50 in the 50:30:20 breakup. However, we have to be vigilant, since the NDTF preferred the non-transparent method of relying on the “wisdom of the Selection Committee”. The AAD, having contributed nothing to ensure transparency and fairness, is going about spreading fear that 80% of ad-hoc teachers will be thrown out because of the 50:30:20 provision. 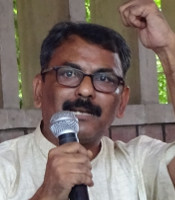 Those, whose support to the previous VC’s regime was evident in their constant representation in various committees and presence in all events – Academic Congress, Flying Squads, Antardhwanis – as also in their support to the FYUP and much more, were happy with the arbitrary decisions of Selection Committees during 2013-15 when long-serving ad hoc teachers were systematically discarded while making permanent appointments. The API scheme in its various Avatars was one of the grave injustices heaped on us by the last pay revision. The then VC combined to strike teachers hard by retrospective implementation from 31.12.2008. Legal options were held back with the hope that a just solution could be tried instead of protracted court proceedings. Despite initial positive responses by Prof. Yogesh Tyagi, nothing has moved on the issue. The VC does not appear willing to take up the matter with the UGC and the MHRD. And the claims by NDTF activists that the Govt was about to grant a just solution have also come to nothing, compelling us to resort to legal recourse. The latest instance of the Govt’s cost cutting is the MHRD’s letter of 23.1.2017 directing the University to file an SLP against the relief given by the High Court on pension in regard to teachers in Category II. This is an attack on autonomy as it is on teachers’ basic rights. 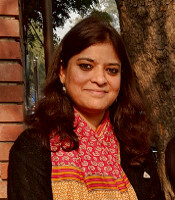 This policy direction was also evident in the HRD Minister’s speech at Hindu College recently – that the Government is positively considering greater financial autonomy for universities – and the news reports that followed about some colleges of Delhi University seeking autonomy / deemed university status. It appears that the Government has changed rules to bind institutions to one of the following options: uncritically accept, keep mum for three months and allow silence to be considered as acceptance or justify their decision through a “Speaking Order” in case they choose to reject. It will be to our peril to dismiss the news reports as rumour when the Government has been actively pushing the autonomy agenda and the NAAC rating procedures incentivise self-financing courses in various forms including add-on courses as well as devising of courses by institutions. Meanwhile, the Finance Ministry issued an Office Memorandum on 13.1.2017 about pay revision for employees of Govt funded Autonomous Institutions. A comparison to an earlier one of 30.9.2008 shows that the move to force Autonomous Institutions into self-financing mode has accelerated. The 2008 memorandum talked about 80% budgetary support. The 2017 memorandum brings budgetary support down to 70%! It explicitly states the objective: financial self-sufficiency and reduction of burden on the Exchequer. The EC & AC elections are an occasion to send a clear and defiant signal to the Govt and the ruling party that teachers will collectively resist every attempt to undermine the value of our labour and the academic functioning of our university. The DTF appeals to every teacher to make these elections a mandate against the Govt’s policies and against those who seek your vote to betray teachers’ collective interests.